This Florida Scrub Jay at the Helen and Allan Cruickshank Reserve in Rockledge, Florida was as bold as only a Florida Scrub Jay can get…feeding practically at my feet. You can see the band on his leg. 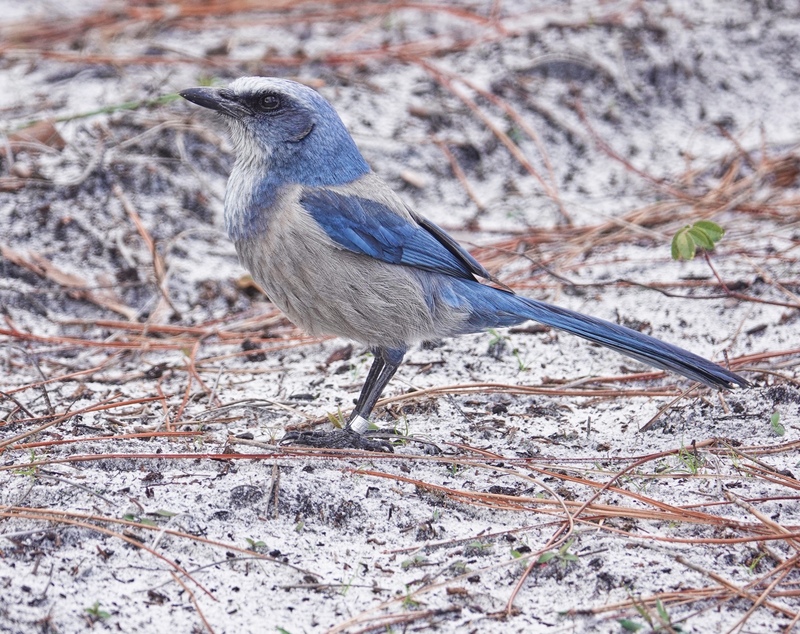 The Florida Scrub Jay is one of the most studied and carefully managed species in Florida, perhaps even in the US. If you look closely, you will see that someone, someone who did not read the prominently posted signs and/or is totally ignorant of, or disrespectful of, the law, has been scattering sunflower seeds to attract the small flock of Scrub Jays who inhabit the sanctuary. Not cool! In my experience Florida Scrub Jays are so curious and so friendly that they will come to humans without the inducement of illegal feeding. Of course, I may have always benefited from someone else’s disobedience. Hard to tell with Florida Scrub Jays. Anyway. this is a proud and apparently healthy specimen. Sony RX10iv at 600mm equivalent. My birds and wildlife modifications of Program mode. 1/250th @ f4 @ ISO 200. Processed in Polarr.